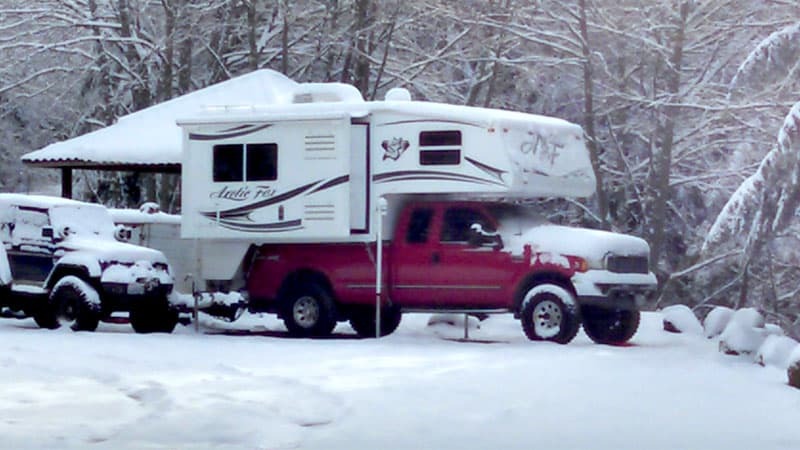 Truck Camper Magazine readers reveal 100 proven tips and tricks to make winter truck camping warm, comfortable, and fun. 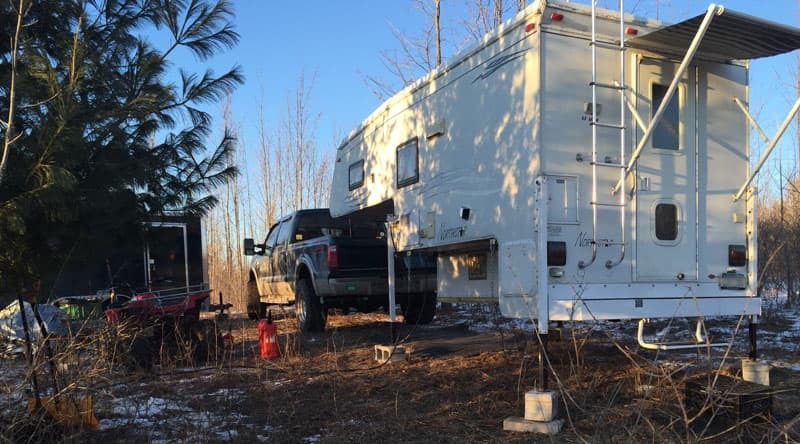 Is winter the best season to go truck camping? Angela and I are, admittedly, not cold weather people. As far as we’re concerned, daylight savings means it’s time to drive south; south of Okeechobee, Florida that is. Our minds have been set ever since the now infamous TCM video, Everglades National Park to Key West. That doesn’t mean we completely avoid cold weather truck camping. In fact, sometimes cold weather camping is the only way to experience a destination or event. In 2005, we went to bed with towels draped over our single pane windows, wearing thermal-underwear, and donning winter hats on the Icefields Parkway in Jasper, Alberta. Wearing the hats during sleep time was the real discovery to staying warm on that trip. And the hats had the added benefit of creating the most outrageous bedhead hairdoos imaginable. Another accidental cold weather innovation has been the addition of our cat heater, Harley. Like the other kind of cat heater, he outgases noxious fumes and requires ventilation, but he can heat up the over cab to almost unimaginable temperatures. Best of all, he runs on cat food and water, is self cleaning, and has zero battery draw. 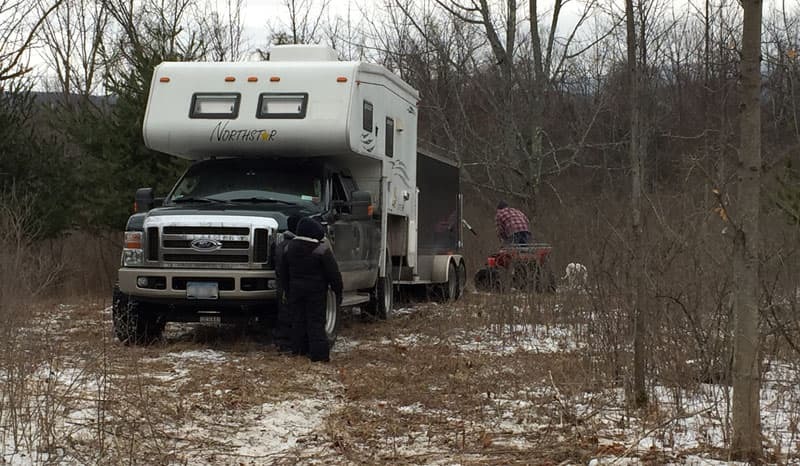 This week’s Question of the Week was, “Do you enjoy cold winter truck camping?” Thank you to TCM Fred Patterson for sending in this question. Do you have an idea for a great Question of the Week? Contact us to share your idea. “We’ve camped to -38 degrees Fahrenheit with the water running. I use a CPAP, electric bed warmer, and microwave/toaster by running a Honda eu2000i generator or propane Onan generator all night. Propane freezes at -40 degrees Fahrenheit. I may have to plug in the truck in. “Do we enjoy winter camping? You bet we do. It has been written about in my blog, RV Magazines and even posted on the Adventurer website. It is a great time of year to get out and enjoy the camper. We have frequently been out with our camper in weather around zero degrees Fahrenheit. We have even been out in temperatures even colder than that.